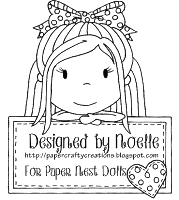 DT Noelle here to share with you my first Christmas card of the season which is also my inspiration for Paper Nest Dolls this month! 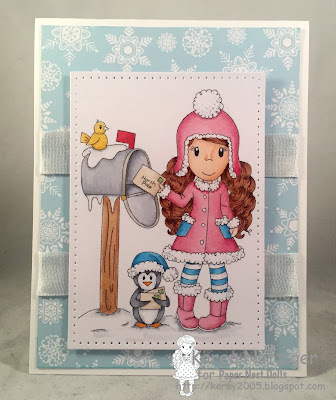 I used "Holiday Gifts Avery" which is also available as a digital stamp! 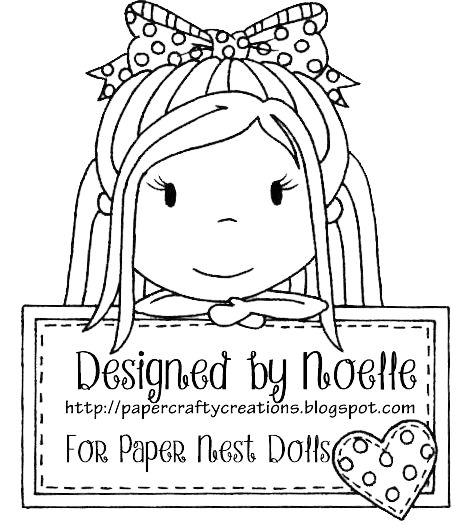 I hope that you like my card =) ! 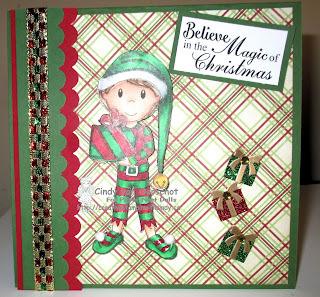 I created a shabby card for this creation using some of the new pretty papers from a new Christmas line in my stash! I colored the image with my copics as usual and added some Nuvo drops, paper flowers and berry embellishments to embellish. 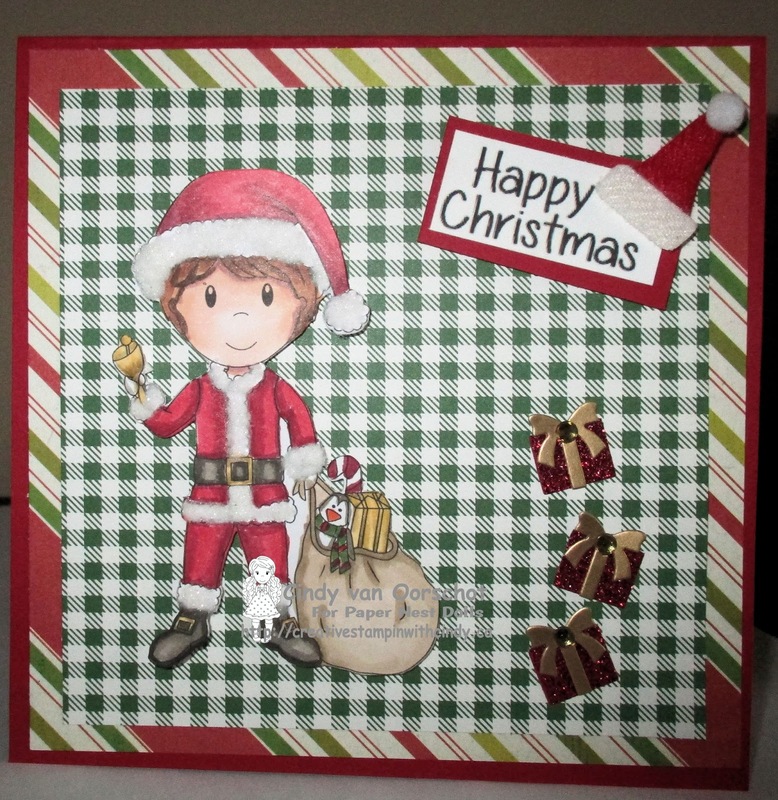 I also added the "Noel" die cut to finish off. Thank you for stopping by! Feel free to leave some comments if you like. 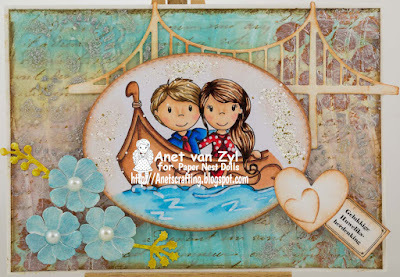 You can also see this post over on my blog with more photos and details. Have a great rest of your weekend! Hi Everyone, Cindy here to share a couple of cards with you, The first is Santa Owen, I have colored the image with copics, with the exception of the fur. 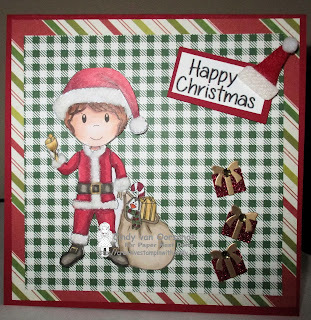 which is flocking powder with a bit of Glitter, I have cut the image out, and mounted him onto the paper added the greeting and the little presents. The second card is Elf Owen, who was also colored with copics, and the white fur is also flocking powder. I have added the punched border along with some ribbon, the gifts and sentiment. Hi Everyone! 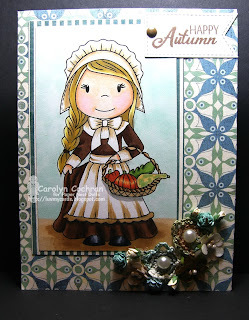 This is my first card for Paper Nest Dolls and I'm thrilled to death to be joining you Ladies for the Nov. 1st post. 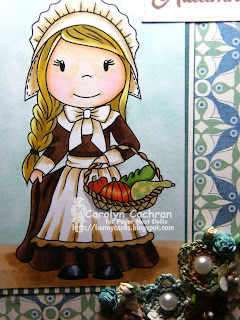 Until then, I'd like to share an inspiration card for you for the upcoming Thanksgiving Holiday, using Pilgrim Avery! She was an absolute dream to color up using copics. 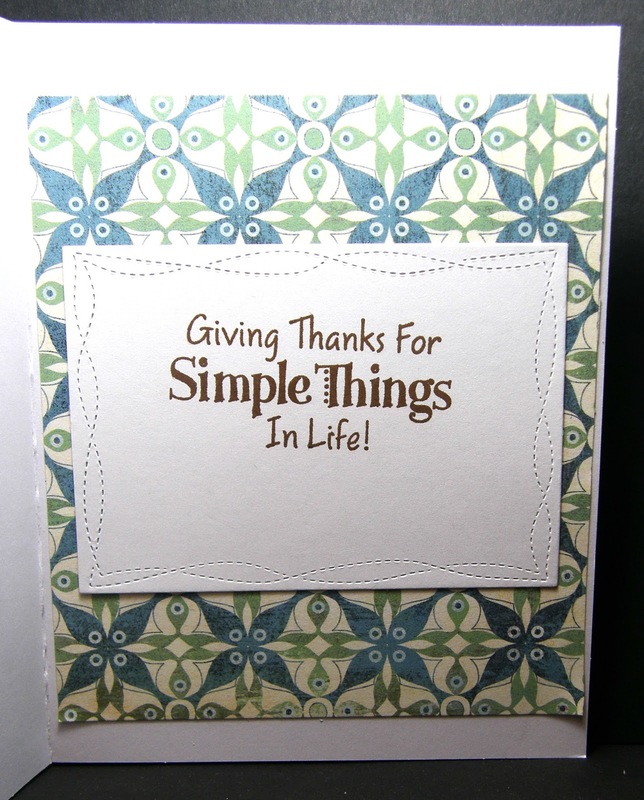 I found some "heritage-like" design papers and added some hand-crocheted (HMBM) small flowers in the colors of the card for the corner. I've been waiting for just the right creation to share them! With the pearl centers, they are nestled in among the paper flowers and buds. 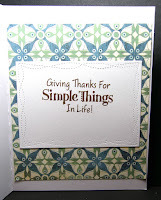 On the inside, I finished it with the same paper and a stamped Thanksgiving sentiment. 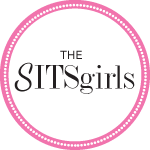 I can't wait to join you in November and am looking forward to using all of Christines' gorgeous images! 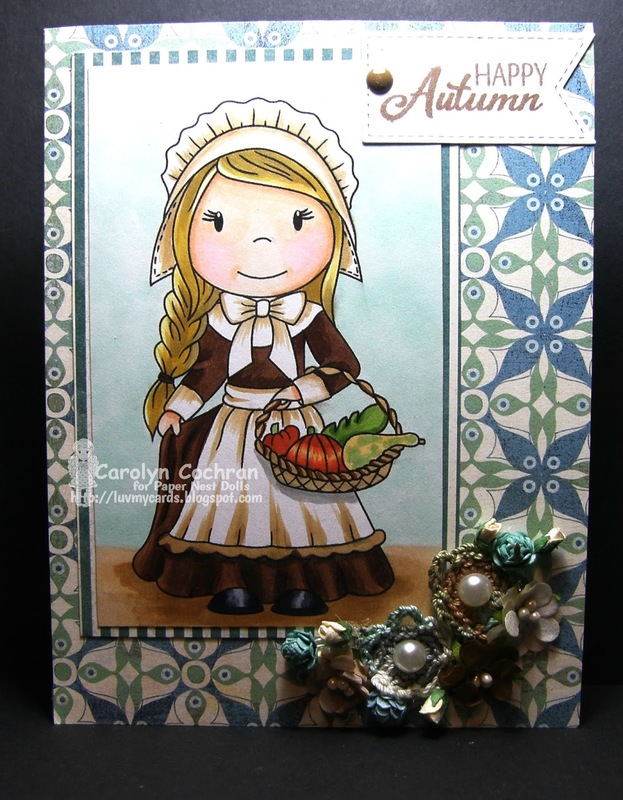 Today I want to share a card with you that I made using the image Garden Avery. You can find this image HERE. I colored this image using my Prismacolor pencils and used a couple of my unbranded dies to cut it out. The paper stack is a DCWV stack from Michaels called The Autumn Splendor that I bought a few years back. Then the 3D stackers are from Walmart. 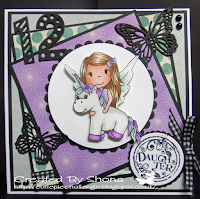 Thanks for checking out my card and happy crafting! Hi Everyone, Anet here to share some inspiration with you today. 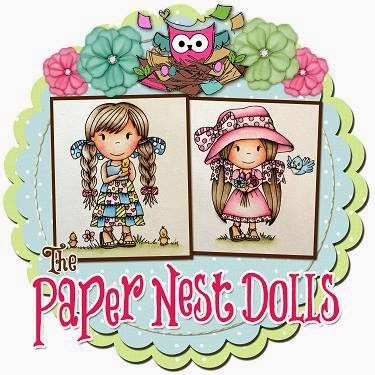 found at The Paper Nest Dolls Shop. Coloured with Copic Sketch Markers. Thank you for visiting today and I hope you have a wonderful weekend! 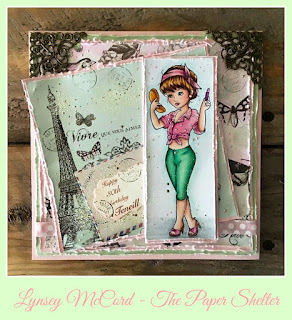 The paper is from Dare 2B Artzy, and I used Elizabeth Craft Designs Dies - Stitched Rectangles. We have some new rules in place they are in the sidebar. The winner receives 3 images and the top picks each can choose one. 1.) Challenges are run monthly from the 3rd thru the 26th. Winners are announced with the start of each new challenge. 3.) You can create ANY project for each challenge. 6.) We reserve the right to remove any challenge entries that do not meet the challenge guidelines. 7.) 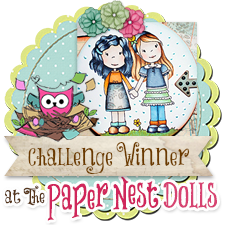 Overall winner will have a choice of 3 images from the shope but if you use a Paper Nest Doll, then you will have your choice of 4 images.